Tom's music is described by Mike Parker of BuddyHollywood.com:"Tom Hemby s deft acoustic guitar pierces straight to the soul". . . . .
“I’ve tried to take the talent that God has given me and push it to a higher plane. “I’ve tried to push the envelope as far as the creative process is concerned through technique in order to glorify God. I’m just trying to be a good stewardof what I’ve been given.”- Quote from GospelMusicChannel.com. Guitarist, songwriter and music producer Tom Hemby was born into a musical family and community in Puxico, located in southeast Missouri, not far from Poplar Bluff. His fascination and love for music began at the tender age of 7 years old, when his father gave him his first instrument, a mandolin. Tom's extended family jam sessions on Friday nights, and group music jams at his family's Pentecostal church Sunday meetings were his first teachers and gave him opportunities to learn the mechanics and expression of music, as well as performing experience. As he grew up, his favorite instrument was the guitar, and he listened to many different artists, always challenging himself to develop his playing skills and his creativity in music. Hemby explored and enjoyed a variety of musical genres, which added color and depth to his musical development. 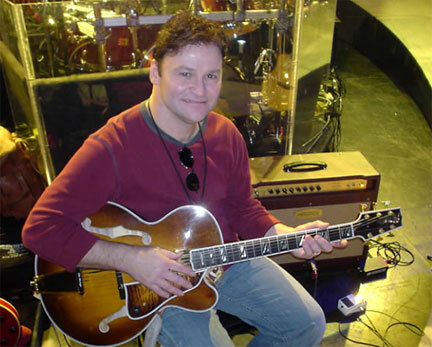 According to his MYSPACE page, Tom Hemby's musical influences include: The Gospels of Christ, Family, Friends, The Andy Griffith Show, All Forms Of Great Music and Great Musicians,such as Chet Atkins, Terry Kath, Scott Henderson, Sting, Phil Keaggy, Larry Csrlton, Jay Graydon, Pat Metheny, Robben Ford, Russell Ferrante, and David Sanborn. After college, in 1978, Tom moved to Nashville, bringing what he had learned and the skills he had developed in music, because of his passion and drive for the creation of his music. It is not surprising that he has lived and worked in Nashville for the past 29 years. Shortly after his arrival in Nashville, he became a poplular choice for bands and artists, such as THE IMPERIALS and Amy Grant, to be hired as a guitarist in their touring bands and recording sessions, because of his tremendous talent, and passion for his craft. It isn't surprising either that his touring career soon evolved into a recording career as a studio guitarist/ songwriter/ producer. The artists he was playing for soon discovered that not only was he a talented guitar player, but that he also was gifted in songwriting, and later on, producing music as well. Some of his recording credits as a guitarist, songwriter, and a producer include artists: Kenny Loggins, former Doobie Brother – Michael McDonald, Amy Grant, Donna Summer, Vince Gill, Faith Hill, Wynonna Judd, Donna Summer, Peter Cetera, Barry Manilow, Brian McKinight, Rob Thomas of Matchbox 20, Steve Winwood, Glenn Shorrock (Little River Band), Michael W. Smith, Glen Campbell, John Secada, Englebert Humperdinck, Charlie Daniels, Stephanie Mills, Yolanda Adams, Mindy McCready, Andy Williams, B J Thomas, Collin Raye, Bob Carlisle, Ricky Scaggs, Carman, Bill Gaither, Point Of Grace, 4 Him, Garth Brooks, Paul Overstreet, Twila Paris, Steven Curtis Chapman and Cheri Keaggy. Tom Hemby also produced the multi artist soundtrack of Mel Gibson's "The Passion Of The Christ", 2 albums for Gospel/R&B singer “BeBe Winans”; Grammy nominated “My Christmas Prayer” and Dove Award nominated “Dream”. Tom also produced the latest solo project for singer/songwriter Cheri Keaggy,a wonderful album entitled, BECAUSE HE FIRST LOVED US, which features a duet with “Marty Row” of “Diamond Rio” on a Carol King song, an old chestnut, YOU GOT A FRIEND. Tom has recorded and released two other instrumental projects of his own, which have dazzled the critics. 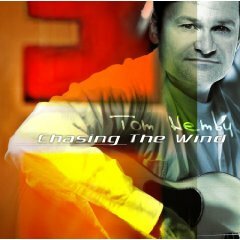 Tom Hemby's debut instrumental album, entitled, AN ACOUSTIC CHRISTMAS WITH TOM HEMBY won a Dove Award in 2004, as the best "Instrumental Album of the Year." His second solo instrumental project was, CHASING THE WIND, released in July 10th, 2007. His third instrumental project which includes the talents of some famous guest artists and musicians will be released soon, much to the joy of his growing number of fans and admirers. Tom's awards include: A Grammy for producing CCM artist Bruce Carroll - and 3 other Dove Awards.